I have one hard and fast rule, Never leave the house without a spoon. 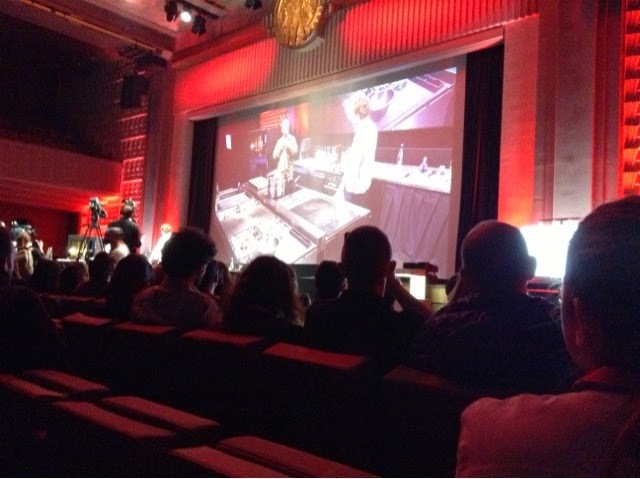 Sunday was the 1st day of 3-day Omnivore World Tour. Some buses weren't running. and I didn't get to Omnivore till noon. Big mistake. 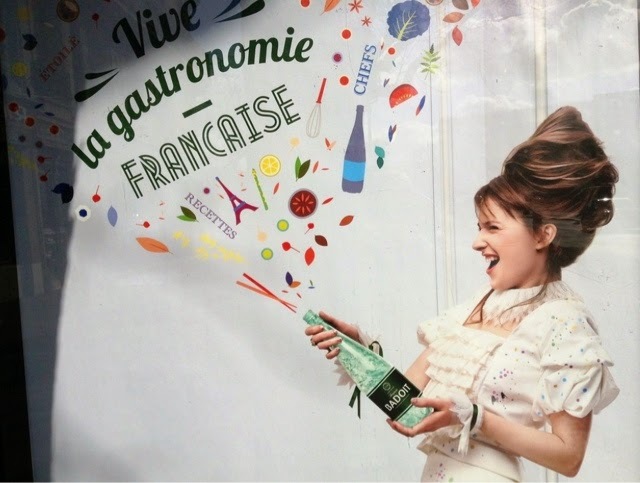 Badoit is one of the main sponsors of Omnivore. I love this poster all over town. 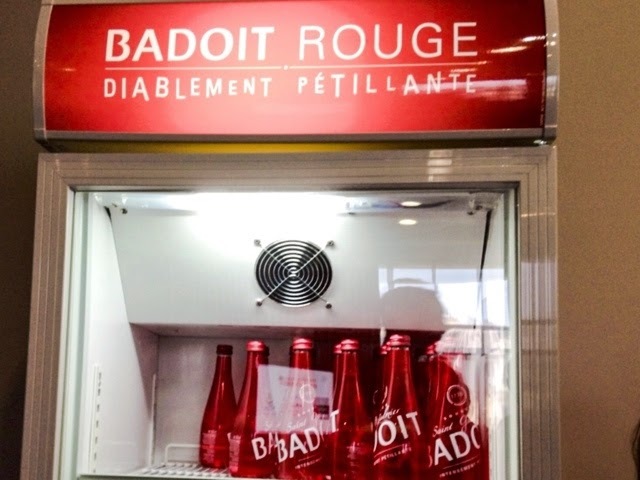 Free Badoit vending machines inside (held at la Maison de la Mutualite 75005) which were kind of fun, as a lover of French vending machines. There are 4-5 conferences going on at the same time (all in French). 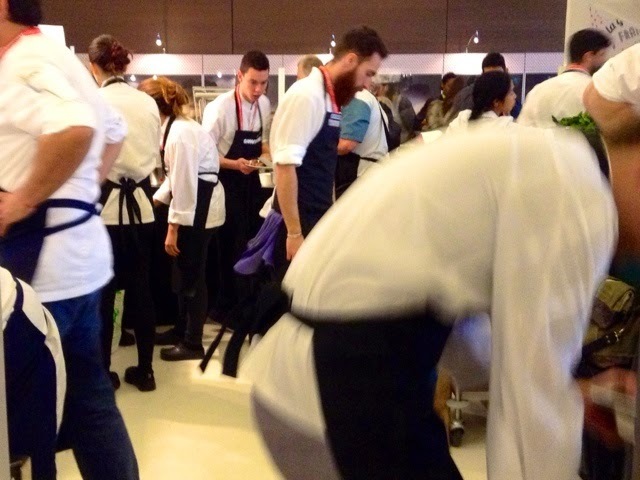 Young innovative chefs from far and wide doing 45-minute stand-up performances and demos. Sometimes you get a taste. 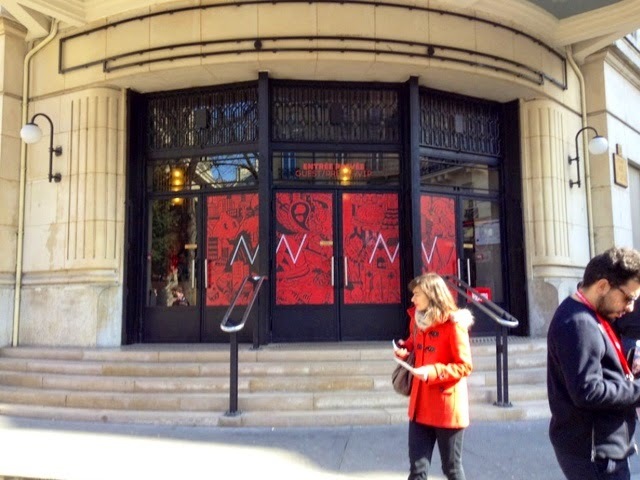 Omnivore takes over the building. Lots of chefs cooking intensely. Lots of people were waiting intensely to get a little bite on Sunday. And this delicious citrus-flavored Scotch. My first ever - like the most fruity soda pop. I quit before I got into trouble. The top floor was a lively on-going cocktail party even on a Sunday morning. Day 2, I decided to show up on time at 10 AM (for a pastry lecture). 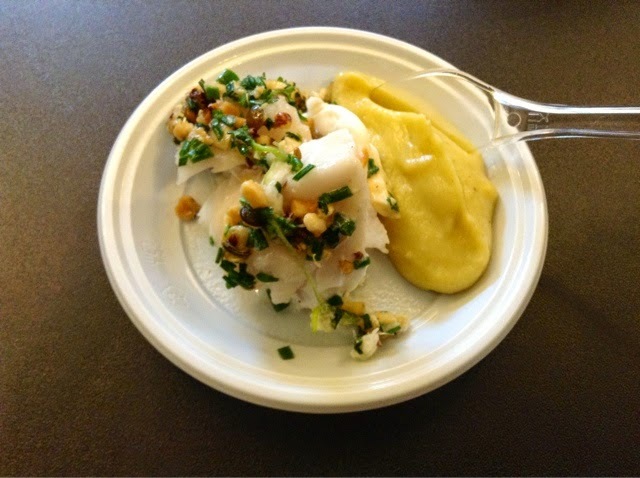 A tiny verrine of Dorade with a kind of popcorn on top. Popcorn has hit Paris big recently. The pastry chef didn't show for her lecture but I got many more bites. 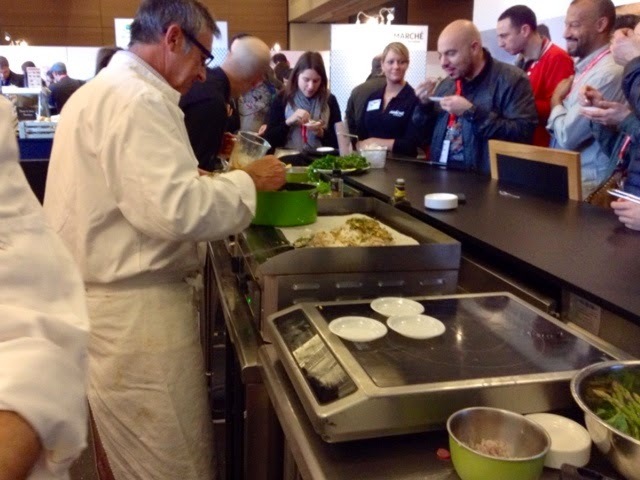 Demonstrating how to make very creamy quenelle Lyonnaise by Serge Alzerat. 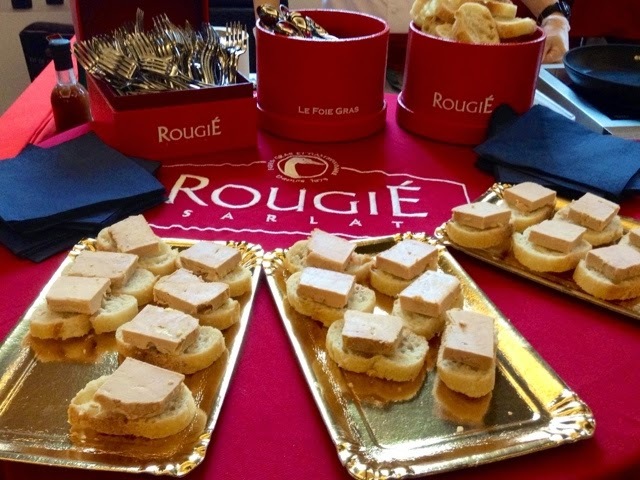 Plenty of excellent foie gras from top maker Rougie. A Corsican wine tasting with abundant Corsican cheeses and hams. I chatted with oyster grower, Huitres Rose, who controls the tides digitally so his oysters grow fatter and tastier. Delicious! 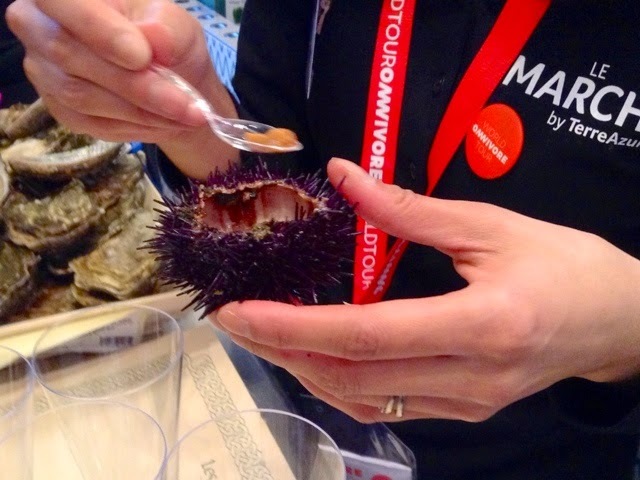 A tiny spoonful of sea urchin. Did I save the spoon? Probably. 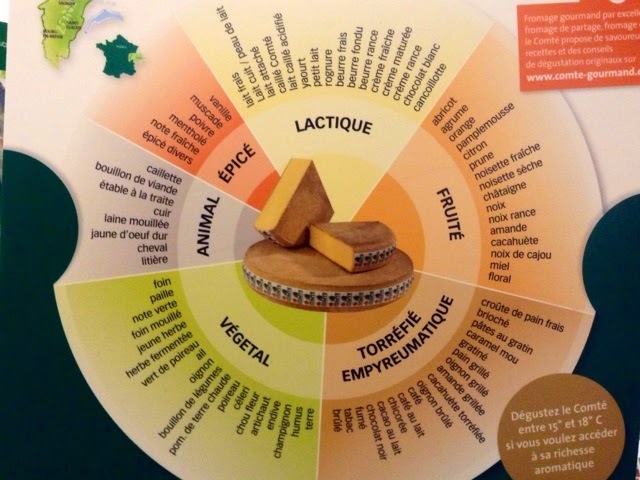 My favorite cheese brie de Melun was there. 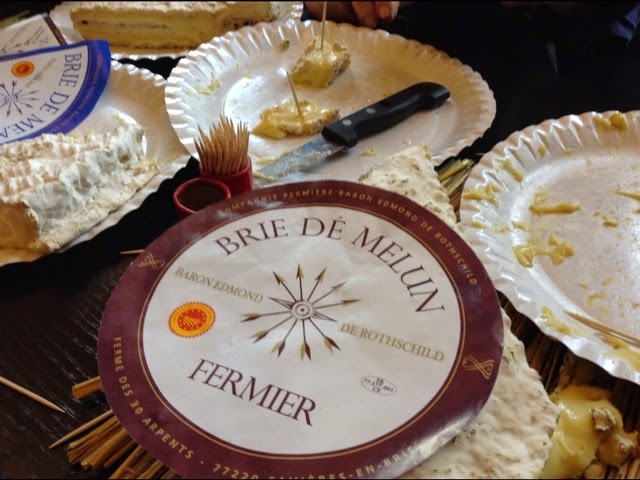 Remember the Melun Brie fete? Melun has a deeper, more flavorful taste than classic Brie de Meaux. It takes looker to make and sits in the caves longer. I drank plenty of Badoit. If you haven't tried it, do. It's my favorite alcohol-free cocktail - fizzy and energizing. 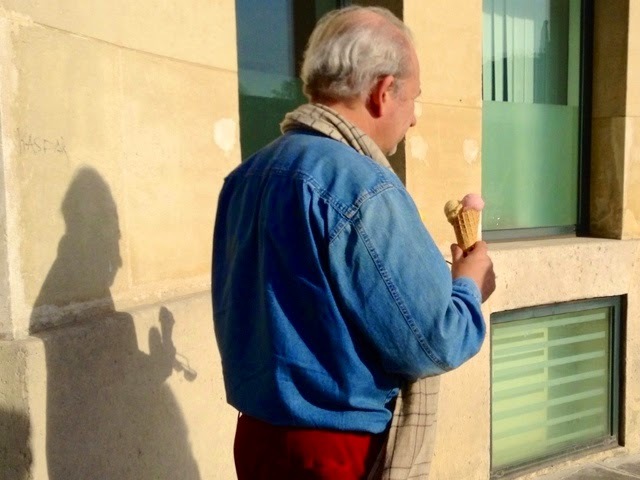 Walking home in the glorious weather I wouldn't have minded enjoying a Berthillon like this gent. He was carrying two doubles btw. Tomorrow I have a ticket for the Agnes B fashion show. 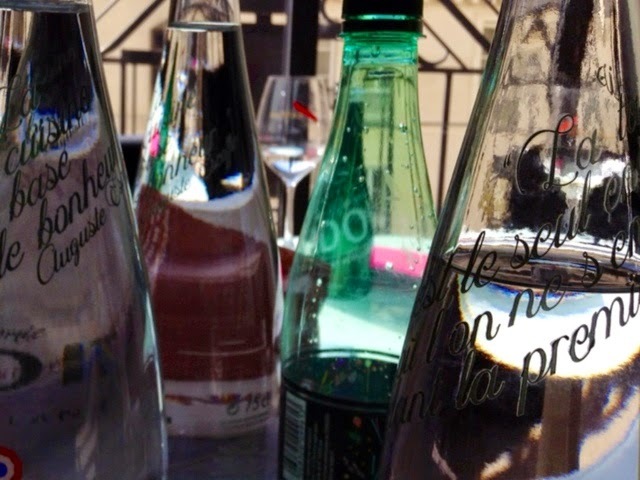 No food except bottled water. Not that I go to any..but I would adore. I remember just the markets in Fance.I would go back more for markets than museums. I like to bring my own utensils when I go to a Thai place for soup..hate plastic stuff w/ long noodles. Did you try the urchin? I guess if you think about it, what better place than Paris to be armed with utensils at all times! I know it must be a little farm, but doesn't "controlling the tides digitally" sound so omnipotent?! 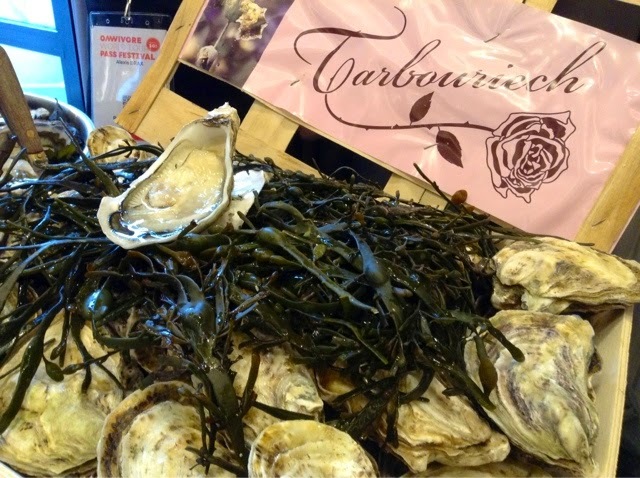 Power to the oyster grower! PS Being armed with napkins(serviette) in your bag is an essential. 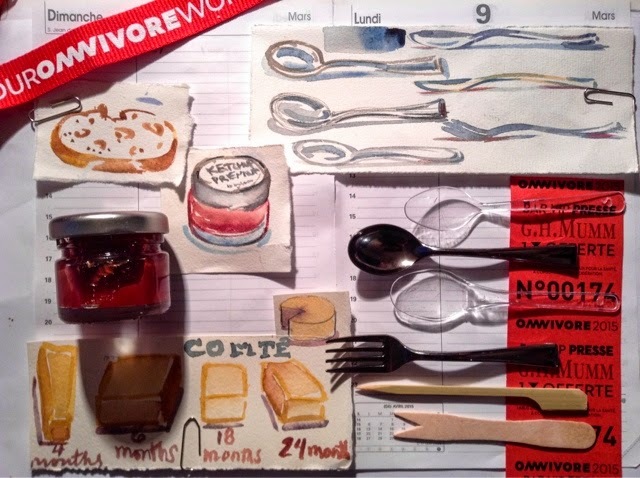 I was at Omnivore (mostly the scène sucré) all day Sunday - though am not surprised I didn't run into you - so crowded! I was thrilled to see it coincided with a very short trip I'm on right now (leave tomorrow). 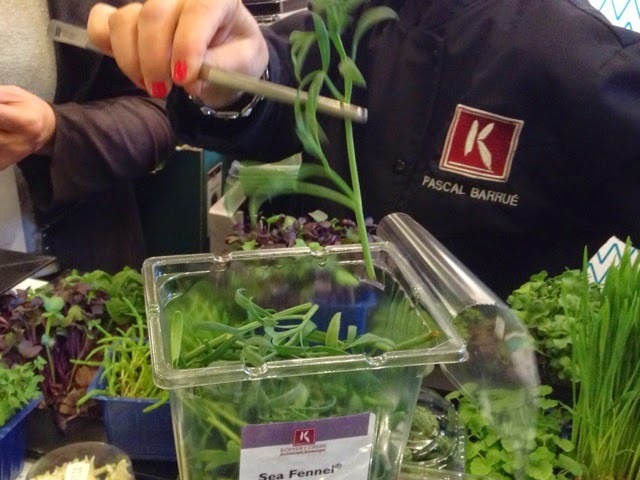 Glad you enjoyed - and have fun at Agnès B! Miam... Is it open to everybody this Omnivore ? I'm going to Paris between April 13 and 20 this year. I hope there will be some events like that during that time ! I, too, can bring my own silver spoon ! Anyone can attend Joanne but it's too pricy. I was there as press. Otherwise it's 39€ a day or 99€ for 3 days. 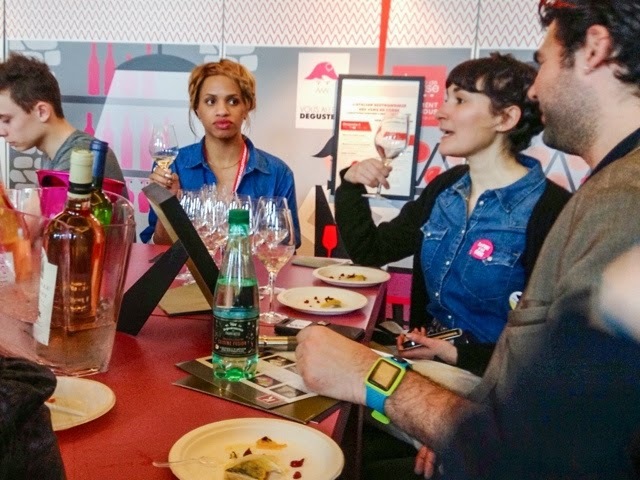 Check Pari Fermier for free or very reasonable foodie events with decent size tastes. And you can buy products. You can not here. Lots of giggles here because I do the same thing with the tasting spoons. Well, I suppose it's always good to carry Kleenex and a spoon because you never know when you'll make a picnic! This looks fabulous. Joanne asked a good question -- are events such as these open to the public or are you a special and invited blogger? It would be fun to find one of these if they ever matched the travel calendar! You never know when you may want to picnic. 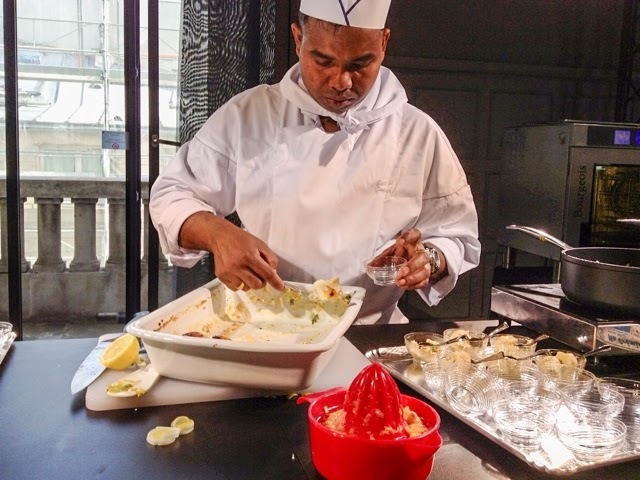 I think Paris should consider throwing an honorary Bocuse D'Or your way, or something equally juicy, like the Croix du Tourisme (I made that one up.) I'm sure your blog has inspired many people to hop a plane to Paris in the off season! I'm already spending all the available savings to come this April! 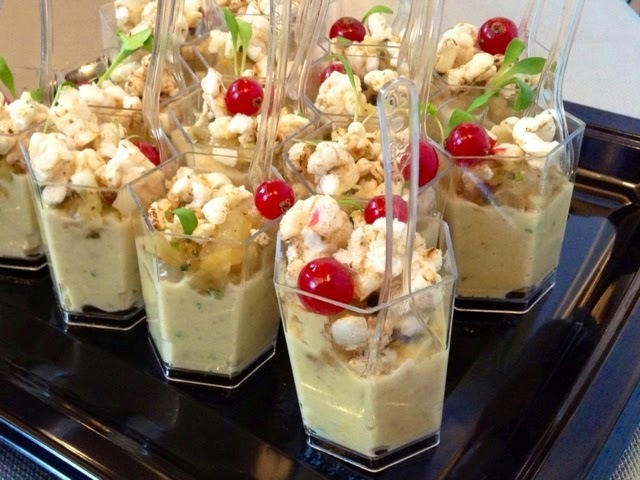 Carol, these opportunities to taste such delicious bites and sips look like great fun! I completely understand your collection of little utensils. I still have a useful Barilla blue half fork/half spoon I received at an Italian food festival in Central Park years ago. The Agnes B styles are always so good...classic, but in an evolving sort of way. Tres chic. And, the company's a good arts patron, too. I was surprised how wearable and chic her clothes still are. But then she's a woman. She knows what we want. I give the full report tomorrow Frances! Love the pictures.. Thank You for your efforts I feel i'm in Paris each time! Wonderful as always...but when do you have time to paint?!?! This one made me really hungry and looks like it would be worth the 39 euros for a day - such a unique experience. Best to eat a good sturdy lunch Before you go to this one! Could we possibly be twins separated at birth? collection travels around with me in my purse. exciting. I want to live there, too! So funny on the spoons. I used to collect fancy plastic ones at does, hoping to throw a party with them all. Weird thinking perhaps. 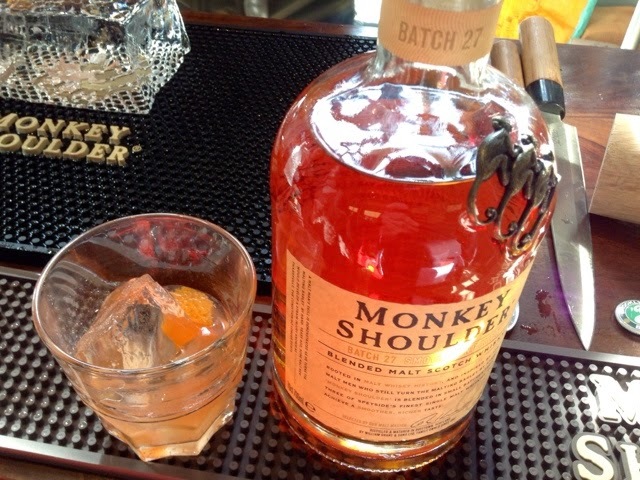 Interesting samples you had - monkey shoulder, oysters to the Corsican hams. Looked great fun! So are you making these quenelles?